GET YOUR BBQ Downtown Nashville! Our new Martin's location in the heart of downtown Nashville is an easy stroll from Music City Center and Lower Broadway, and we've really decked this place out. Our course it looks and feels like our other locations... just a whole lot bigger! 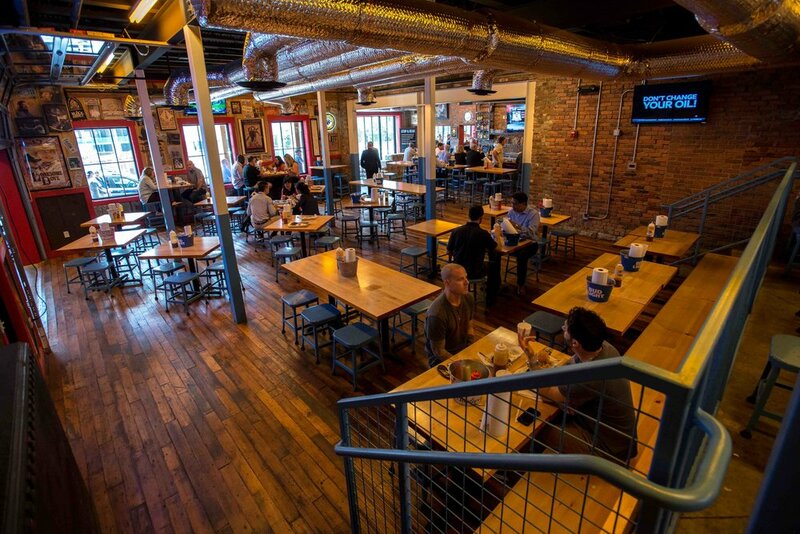 Beyond our dining room, we've got a massive beer garden in the back with tons of seating, games, and a stage for live music. Looking for a good spot to host a gathering? 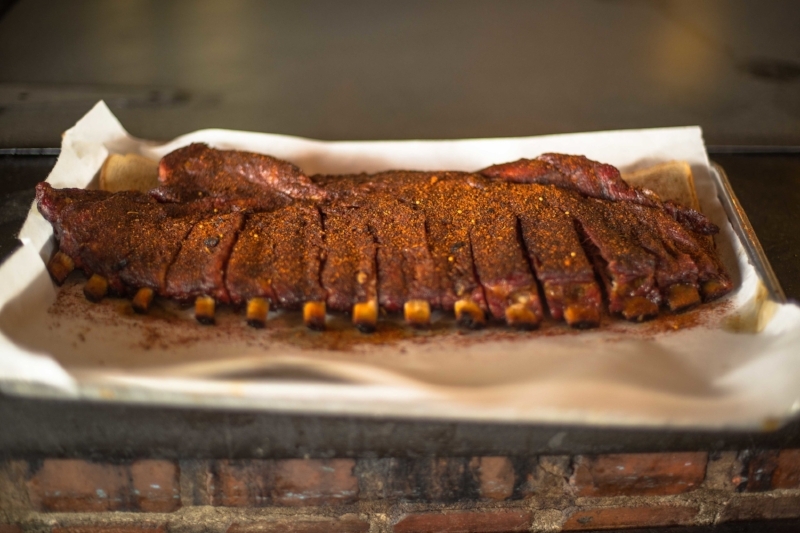 The Rutledge Room offers a great place to gather as a large group and get your fill of Whole Hog Bar-B-Que. 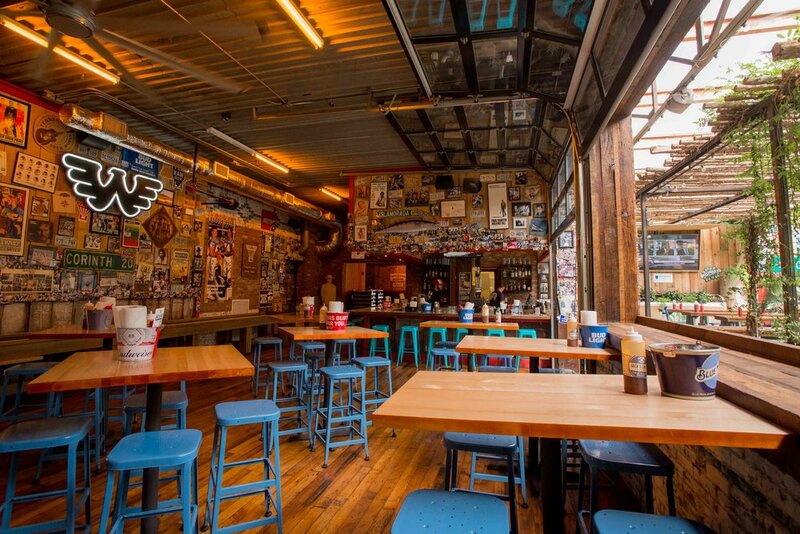 Just a few steps from the Honky Tonks, this location is the perfect spot to refill on some gold brews and smokin' BBQ! BBQ on top of our cornbread hoe-cake topped with slaw and sauce. 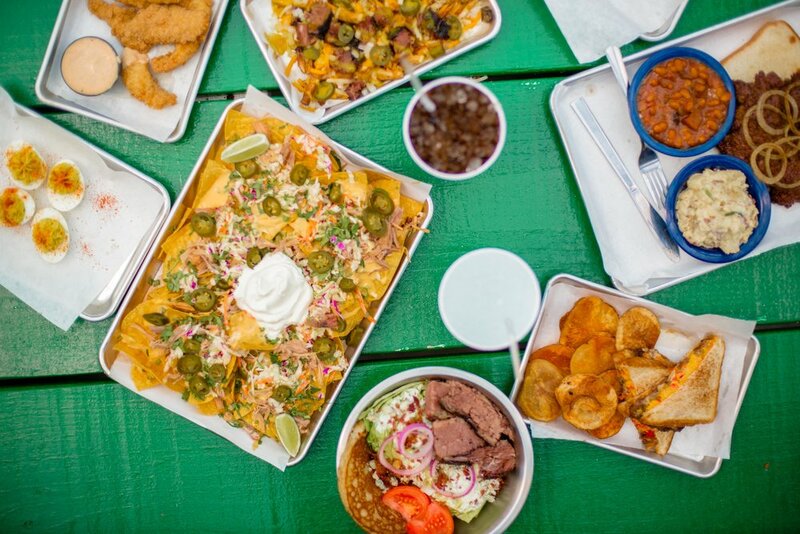 Choose between Pork, Brisket, Sausage, Chicken, Turkey or Catfish. 1/3lb Custom Ground Beef Patty with Melted American Cheese, Comeback Sauce, Lettuce, Pickles, and Onions. For You Healthy Folks...Marinated Chicken Breast Cooked on the Flattop Grill and Served with Lettuce, Onions, and Alabama White Sauce. 2 Tacos with Melted Jack and Cheddar Cheese, Martin's Salsa, and Fresh Cilantro. Served with Pickled Jalapeños and a Lime Wedge - Sub Pork, Chicken, or Sausage. 2 Tacos with Melted Jack and Cheddar Cheese, Mississippi Farm Raised Catfish, Topped with Slaw, Pickled Jalapeños and a Lime Wedge. 3 Large Southern Fried Chidken Tenders Served with White Bread and a Side of Honey Mustard. 2 Marinated Chicken Breasts on the Flattop Grill and Served with White Bread. Mississippi Farm Raised Catfish with White Onions and Served with a Couple of Hushpuppies. Ranch, Honey Mustard, Vinaigrette, Blue Cheese, Mississippi "Comeback"
Iceberg Lettuce with Shredded Cheddar, Onions, Chopped Bacon (Tomatoes during summer only). Baked potato topped with your choice of BBQ Pork, Turkey, or Chicken with Chopped Bacon, Shredded Cheddar, Green Onions, Sour Cream and Sweet Dixie sauce. Baked Potato Topped with Chopped Bacon, Shredded Cheddar, Green Onions, and Sour Cream.